Before you criticized the law that taxes petroleum and luxury items in order to serve as funds for bringing betterment and development to the Philippines, one must realize the trend that the oil industry has been going through. This is what the President of QNX Solutions Inc. Emmanuel "Willy” Ramasola has been pointing out on Facebook as he defends the law in such times of financial uncertainty of the country. It was already a fact that even before President Rodrigo Roa Duterte that the Philippines’ oil industry is deregulated and oil prices are under the mercy of the World Market. Other than that fact, there is also the case of the degrading value of Philippine Peso in recent times due to the United States efforts. Both are the reason on why the oil prices are basically sky-rocketing. “US President Donald Trump recently decided to junk the Iran nuclear deal. This move, coupled by the US government’s decision to transfer it’s embassy to Jerusalem has caused some instability and tension in the Middle East and this is driving crude oil prices higher than in previous years. This is why the President so compassionately lifted the taxing on petroleum in order to help people cope with the rising prices. Yet still as peso remains weak and the world oil prices hiking, other solutions must be taken by the government in order to solve such a financial crisis. But do not fret, Filipinos are ingenious people and with the recent discovery on oil reservoirs in the country then maybe in the future would oil be incredibly affordable. "The TRAIN law is not the main reason why our gasoline and diesel prices are very expensive these days. Even before the Duterte administration came into power, our country’s oil industry has been deregulated which means our gas stations can adjust the prices of fuel products in reaction to changes in world crude oil prices. Also, our exchange rate is market driven so any peso depreciation would negatively impact on the cost of imported goods including oil. US President Donald Trump recently decided to junk the Iran nuclear deal. This move, coupled by the US government’s decision to transfer it’s embassy to Jerusalem has caused some instability and tension in the Middle East and this is driving crude oil prices higher than in previous years. Also, the increase in US interest rates and US Treasury yields helped strengthen the dollar against foreign currencies including the peso. The high world oil prices and the deteriorating peso are the main reasons why our gas prices are very expensive these days. 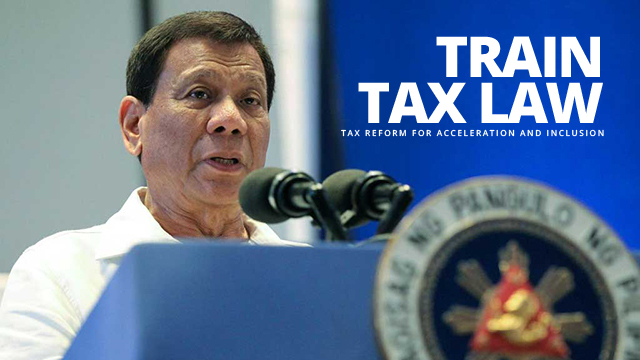 Suspending the TRAIN law particularly in the imposition of excise taxes on fuel may lower gas prices a little bit but if the peso remains weak and world oil prices continue to go up, then our government may have to think of other solutions to address this problem. Filipinos are known for creativity, flexibilty and resiliency to overcome difficult and challenging situations. But I sincerely hope that our country’s economic managers will do something to provide some financial relief and somehow ease the burden of the many suffering poor Filipinos. They badly need your help, Mr. President. Have mercy on your people."